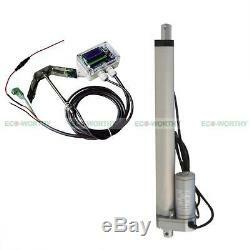 14'' 12V Linear Actuator &Controller. Here for sale is Complete Single Axis Solar Tracker Kits, items Including a 350mm/ 14 Stroke Length Linear Actuators &Mounting Brackets and the Electronic Controller you need for a single axis solar tracker system. Build your own frame and you will get a professional grade single axis solar tracker! 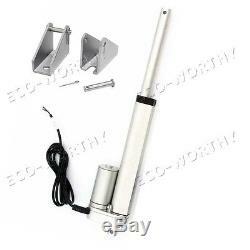 About the Linear Actuator With Mounting Brackets. Light weight and compact structure. Specification of the Linear Actuator. 26 ° C +65 ° C. About the Solar Tracking Controller. The controller is made by 2 parts: the controller box and the light sensor. Specification of the Solar Tracking Controller. Wrong battery pole connection protection. 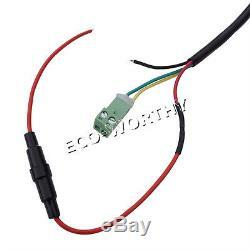 The sensitivity of light sensor can be adjustable. Red and green LED display. The control precision is ±3 degrees. Interval tracking(can maximum save the power consumption). It can aim at the radiant point in cloudy days. Can work both in sunny day and rest in cloudy day. 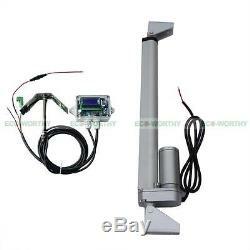 This device is a new umbrella detector, the metal parts are all made of stainless steel, the detecting element is made of two Epoxy silicon cells, and you can adjust the direction angle and then calibrate the orientation. Never approach a solar tracker while the ECOWORTHY Solar Tracker electronics are "on". The solar tracker can move unexpectedly and the powerful linear actuator/motor can cause serious injury or death. Always disconnect the ECOWORTHY Solar Tracker electronics from its power supply before approaching the solar tracker. 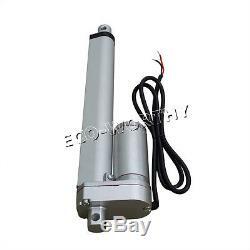 1X 350mm 14 stroke 5.7mm/s Speed Linear Actuator. 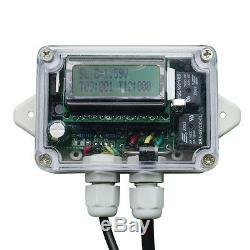 1X Solar Tracking Controller with Light Sensor. 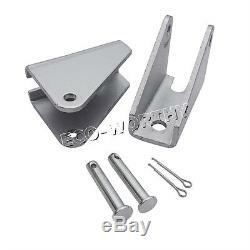 2X Mounting Brackets for the linear actuator. We will carefully package your products to make sure your item will arrive safely. We welcome all international buyers. If you don't get your product within the time we stated. Please allow more time for your product to arrive. You can track it first, or call your local post office to see if there's any parcel for you. If you want to receive your product quickly, you can choose EMS/DHL express. 1solar, we strive to serve our customers and resolve any issues. We do appreciate your consideration and looking forward to doing business with all the clients and companies. 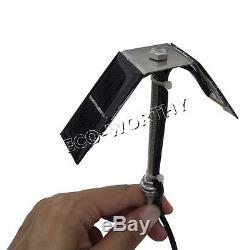 E are manufacturers and wholesalers of solar panels and renewable energy products. Our solar business was established in 2002. OEM and ODM services are both available. We would like to be your best supplier in China. Please take our working time into account. We will reply you in time, if you are in our working time. 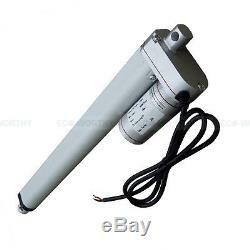 The item "14''12V Linear Actuator Heavy Duty Electric Motor & Controller Solar Tracker Kit" is in sale since Monday, August 08, 2016. 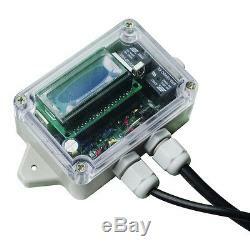 This item is in the category "Business & Industrial\Automation, Motors & Drives\Linear Motion\Linear Actuator Controls". 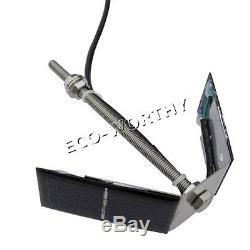 The seller is "goodenergytools" and is located in CN. This item can be shipped worldwide.